That must be a time many of you came across: your phone is locked by a forgotten password thus you can use it doing nothing without password. Naturally we are going to answer this question: how to unlock your Android phone when you forgot the PIN/password/pattern/fingerprint? or how to remove the lock screen from Android phone? 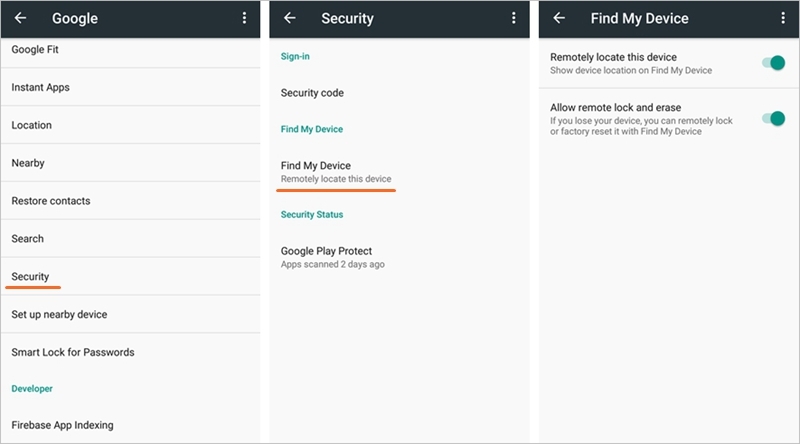 If you have associated with Google account on your Android device, it will turn on the Google Find My Device feature automatically, so you can use Google’s Find My Device to remotely erase your Android phone and remove the screen lock. 1. Visit the Google Find My Device website directly or install Google Find My Device App on another Android device. 2. Sign in your Google account that you logged on the locked phone. 4. Click Erase button to factory reset your phone and the lock screen password will be removed too. 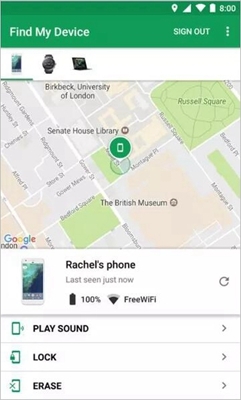 Tips: How to check that Find My Device feature is on? Go to Settings > Google > Security. 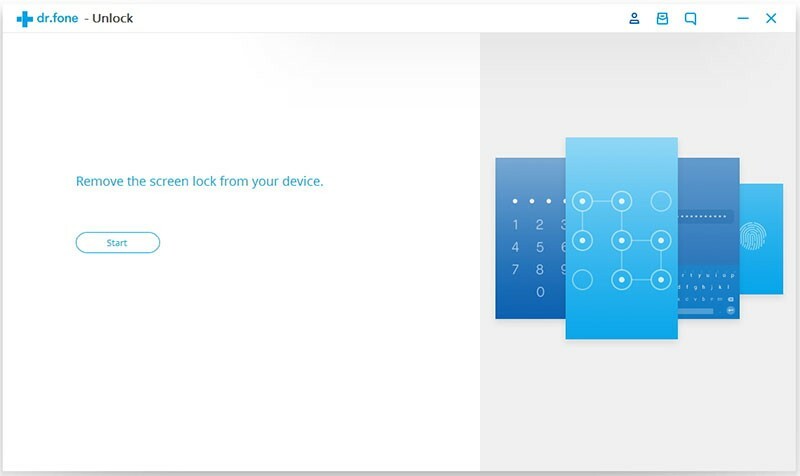 You will see the Android Device Manager or Find My Device option, under where you should enable the “Allow remote lock and erase.” That’s the precondition of this method. If you haven’t enabled Find My Phone before, you can also try to hard reset your phone in Recovery mode to remove the password. Note that this method will erase all your phone’s data. 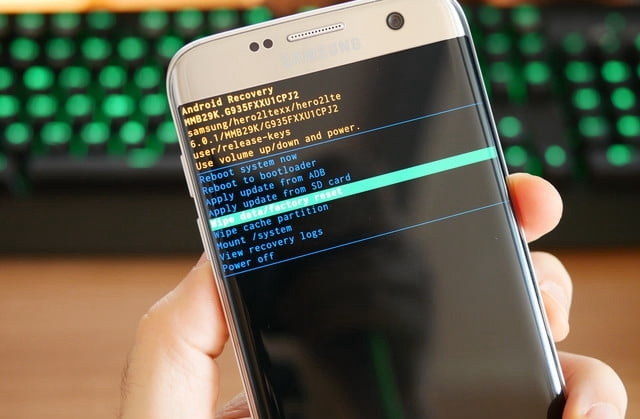 Step 1: Before booting into the recovery mode to hard reset your phone, you have to turn off your phone firstly. 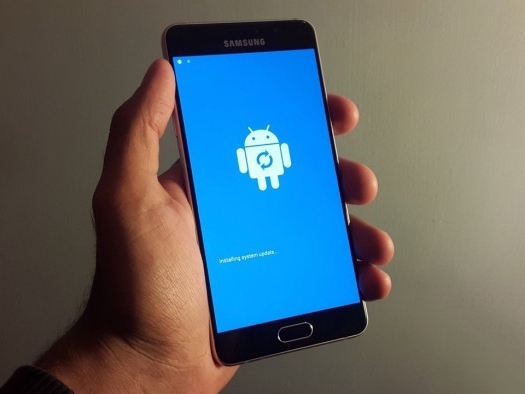 Step 2: For most Android phones, press and hold the Power button and Volume Up button simultaneously and it will boot into recovery mode directly. But for Samsung phones, press and hold the Power button + Home/Bixby button + Volume Up button until the software update screen occurs after several seconds. Release the buttons and wait a moment, a big “!” icon will show up. 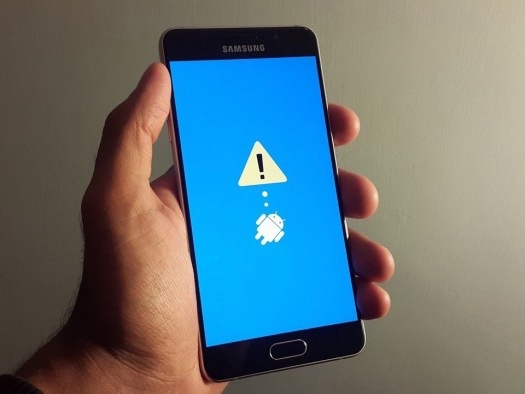 After 1 minute, your Samsung phone will display the recovery mode mune. Step 3: By pressing the Vol buttons you can choose the “Wipe data/factory reset” option. Select it by pressing Power button once. Step 4: Choose “OK” and your phone will be reset and then restart. Step 6: Once the process is done, choose “Reboot System Now” to reboot your phone. The Android Lock Screen Removal toolkit is a professional tool for users to fix system issues and restore a series of data of phone. 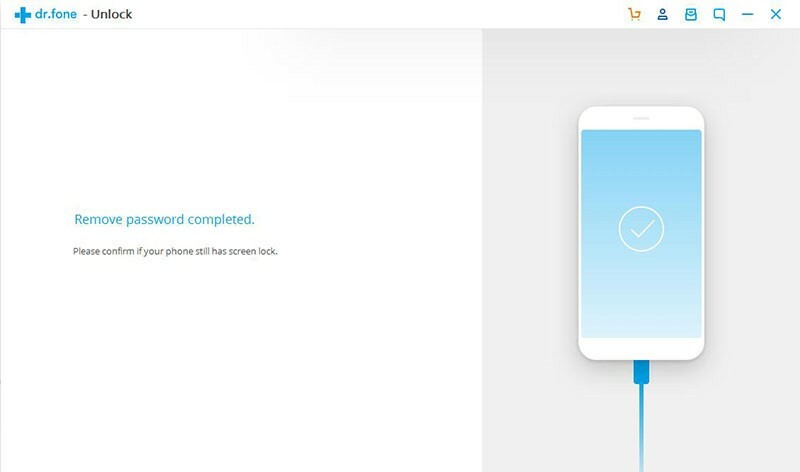 With a simple click, this software makes it easy to unlock your Android phone, besides it also guards list of your data. Follow us. Before you start, download the toolkit from the official website and install it on your computer. Step 1: Run the toolkit for Android Lock Screen Removal on computer. Choose “Lock Screen Removal” from the dashboard. Then click the button “Start” to move on. Step 2: Connect your phone to computer using a USB cable. 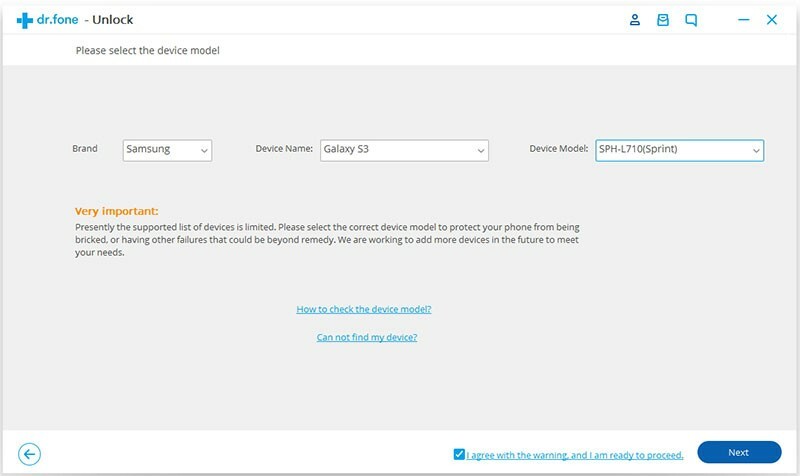 Select the device model of your phone and click “Next” at the bottom right corner to move on. Step 3: Next you should put your phone into the Download Mode. Follow the guide prompted on the screen. 2. Press and hold Volume Down + Home button + Power button at the same time until for a few seconds until you see the download mode warning screen. 3. Press the Volume Up button to confirm to enter the Download Mode. 2. Press and hold the Volume Up button. 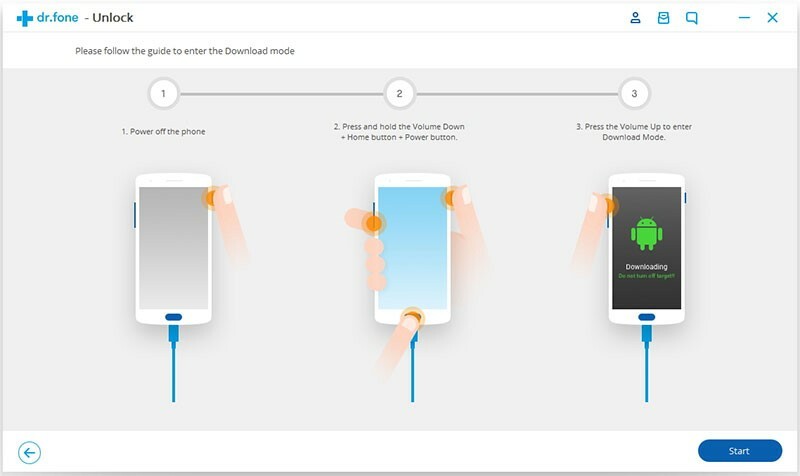 While holding the Vol Up button you should plug your phone into computer with the USB cable. 3. Once you see the LG logo appears, release the button. Your phone should be in Download mode now. 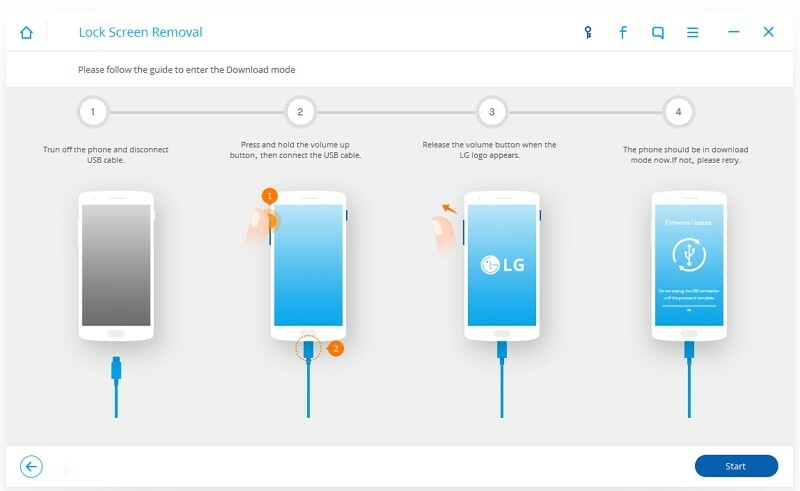 Step 4: After your phone boot into download mode, wait for the software detect your phone, then click on “Remove” to start to remove the lock screen. Wait for the process complete and your phone will restart in normal mode without any lock screen. 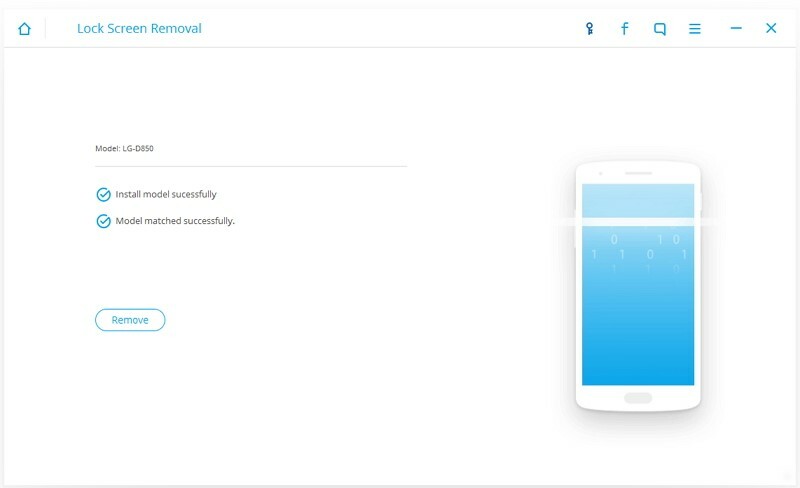 The Android Lock Screen Removal toolkit is your best choice to unlock the screen and get control of your Android phone perfectly. With just a few clicks to bypass the lock screen, you can give your data insurance by this toolkit. 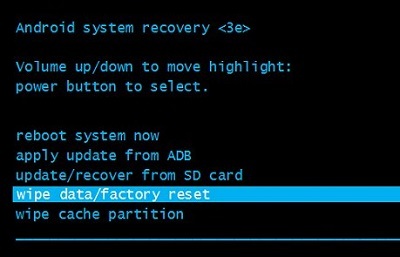 Factory reset or other removal will mess up your important data in the phone so we don’t recommend it. 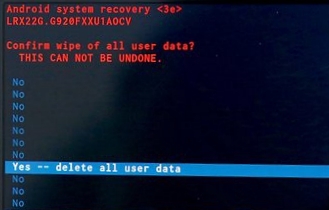 If you haven’t done a backup on computer or other account, as a result, all the data in your phone will be lost.